Under what circumstances should a call centre consider using dialling equipment? Call centres should consider using dialling equipment if they are regularly contacting large numbers of consumers or businesses. This could be for the purpose of outbound sales calls or telemarketing, but dialling equipment can also be beneficial for businesses with a large customer base who are billed on a monthly basis. While many customers will take advantage of automated payment methods such as direct debit, a percentage will still pay by cheque or online payment which may require ongoing debt management. If purchasing a dialler, what are the key considerations? The key thing to look for in a dialler is the ability to cope with a number of different dialling methods such as preview, and predictive dialling (see Types of diallers article). 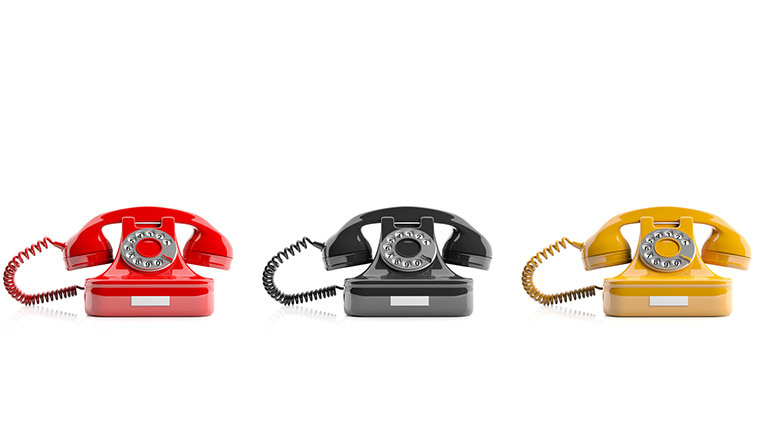 Different calls and different agents will be suited to different dialling modes. For example the biggest ROI can be delivered using predictive dialling. The best solutions will offer all these dialling methods in a single product, but it is also important to take into consideration the ability to handle inbound calls and Call blending. Typically if you are making a high number of outbound calls, you will also generate a number of inbound interactions, as a result of messages left on answering machines, for example. 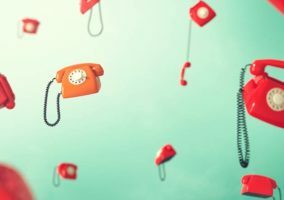 The ability to handle these calls effectively is crucial, as in a debt collection or sales environment every call, whether inbound or outbound, can generate revenue. Silent and abandoned calls are a well-known nuisance to consumers and Ofcom has outlined new rules to provide a consistent and enforceable framework for the responsible use of outbound dialling systems (see Dialler regulations. One of the most important parts of the new regulation is that no more than 3 percent of live campaign calls over any 24-hour period may be silent or abandoned – otherwise Ofcom can take action and impose heavy financial penalties for non-compliance. With that in mind, outbound dialling software should include pacing algorithms to regulate the number of outbound calls made, to ensure calls are not launched unless there are enough agents to deal with them. Every call counts, so if agents don’t have the correct customer or product information to hand when the call is connected – the customer will get frustrated. Having customisable screens with CRM and product data would help agents resolve issues faster with higher levels of consistency. A customer using web call-back or email may have requested a call-back or further information on a product or service. So an outbound dialling solution needs to have the capability to integrate customer data from a number of sources. Taking advantage of resource optimisation is extremely important. Blending is an example – when inbound call volumes suddenly spike and service levels start to drop, a dialling solution that can temporarily route inbound calls to outbound agents can significantly improve resources and service levels. Balance alerts and other singular messages are more suited to email or SMS. So a dialling solution that can integrate with automation of mundane outbound tasks not only provides a higher return on investment, but frees up the agent for more skilled interaction, making their job more interesting, and making them more likely to feel empowered to make decisions and less likely to feel the need to move on. Productivity and responsible dialling do not have to be mutually exclusive. There are diallers that are able to dramatically increase productivity, without annoying your customers. How often dial rates are recalculated is key. This needs to be done in real time. The longer the period, the longer it takes for the dialler to re-adjust to changes in agent availability such as a shift change or break period. The other important factor is Answer Machine Detection (AMD). With strong recommendations from regulators against the use of AMD due to its lack of accuracy, you need to make sure that this can be turned off. As more customers request calls through email and the web, or front-line agents promise call-backs from back-office teams, having the ability to diarise a customer call and then ensure that this takes place when it is due is very important. Your dialler needs to have the ability to work from campaign lists but also to blend in diarised call-backs that have been requested from potentially many different sources, e.g. other agents, your website, your email management system. Importantly, when the dialler is re-cycling an abandoned call, it must NOT do so within 72 hours. Regarding asking for proof of compliance from dialler vendors, it should be noted that it is reported that “Ofcom’s current view is that it is unlikely to accept a dialler manufacturer’s view about the accuracy of AMD equipment, rather the user should have come to its own, informed view, based on its testing”. Defining what form this testing comprises and actually performing it, is not trivial. So, when selecting a responsible outbound dialling solution (especially predictive) the purchaser should be sure of the resources available to them to provide any necessary assistance in the collection of materials to satisfy any Ofcom compliance audit. This advice is appropriate to existing dialler users, not just new purchasers. Any existing dialler user needs to be able to prove its compliance now. Responsible outbound dialling should ensure the abandoned call rate is capped at 3 percent, which can often prove difficult for a dialler to achieve. To address this, users should look at dialler solutions which employ smart algorithms to keep within a sensible threshold. This ensures contact centres keep within legislation and leverage the technology to squeeze as many Decision Making Contacts (DMCs) out of that 3 percent threshold as possible. Many dialler solutions can now provide a wider view of campaigns, particularly those that are happening over longer time-frames such as a month or more. Intelligent systems can view patterns over this period and can automate call-backs at times contacts are most likely to answer. These self-learning algorithms calculate when is the best time to contact a customer and re-schedule call-backs into appropriate time slots. This means that diallers are used in a less aggressive, smarter, more focused manner to increase the chances of a successful call. The right level of training provided alongside a dialler investment can ensure smarter workforce deployment. Rather than having 50 agents sitting on the end of a dialler experiencing 50-70 percent of failed calls, users can be trained to interpret patterns and call at the time of day a customer is most likely to answer. Staff can be redeployed in other business areas during non-peak periods – to assist with inbound service calls, for example – making better, more efficient use of staff time. Ultimately a holistic approach is needed to ensure responsible dialling today. The savvy consumer does not want to be constantly harassed with deals and offers which are irrelevant to them. They are open to contact if it’s relevant, timely and it matches their needs at that point in time. You could schedule the system to do more things automatically: complete downloads and uploads, manage records in an automated fashion throughout the day, and predict the best phone number and hour of day to place calls, and subsequently feed the information into your calling strategy. Talk to anyone who is thinking about purchasing an outbound solution and the first question they will ask will be “Is your product compliant with Ofcom guidelines” and the answer will always be “Yes, of course it is”. The supplier will be giving an honest answer because all solutions carry the capability to stay within the current Ofcom guidelines. However, the key to actually being compliant is not the technology but the processes and structure you put in place to monitor and control it. Research conducted by the Professional Planning Forum shows that there is no one-size-fits-all structure when it comes to monitoring and managing your dialler so careful consideration is needed around this to ensure compliance and good performance is delivered. You only have to read the Ofcom investigations to see that this is the reason why many companies have breached the compliance guidelines and have been fined. Don’t get caught out by your size. Gone are the days when this technology was only for the big companies. With the advent of software, network and hosted diallers, even the smallest operation now has access to this technology. If you have a phone line and a link to the internet, technologically, you are ready to go – but don’t forget that, big or small, you are using electronic equipment for outbound calling so compliance to Ofcom regulations needs to be delivered. Another item to consider is that in future years your company may want to start using SMS texts, automated IVR calling and emails. Will the technology you buy now be capable of delivering these possible future strategies, giving your organisation the flexibility to develop and change? Finally, before you take the plunge, don’t forget to consider how well the system can integrate with your current technology, as many companies are considering “blending” models as the outbound function matures and grows. Ensure that the technology fits within your company’s IT architecture, especially around your telephony, reporting and workforce management systems. How can call centres stay on the right side of the law when making outbound calls? Businesses need to be looking to work with vendors who have solutions in place to help them abide by the laws and regulations that are in place regarding outbound telephone calls. Nuisance calls may often be a result of a dialler being used too aggressively where there are not enough agents to handle all of the live calls. A dialling solution should also be able to cross-check your databases against ‘do not call lists’ and exclude all those numbers who have registered to say that they do not wish to receive cold calls. We also feel integrity and financial stability should also be revised. Recent media publications have been damaging the Dialler industry recently so we want to emphasise on the character, history and financial stability of any service provider as another consideration when choosing the right Dialler provider.